Learn about the appropriate codes that apply to testing and inspection. This course is intended for mechanical engineers looking for an introduction to inspecting and testing boilers, unfired pressure vessels, and associated equipment to assure safe operation. This course will give mechanical engineers an introduction to the fundamentals of inspecting and testing operational unfired pressure vessels and boilers. 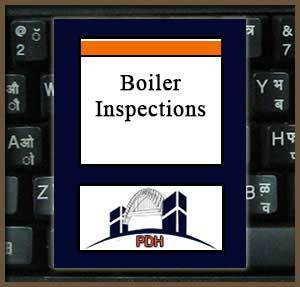 This is an introduction to testing and inspection of steam and hot water boilers, unfired pressure vessels and associated equipment. This course will give you guidance you can apply in operating and maintaining boilers and pressure vessels safely and efficiently.